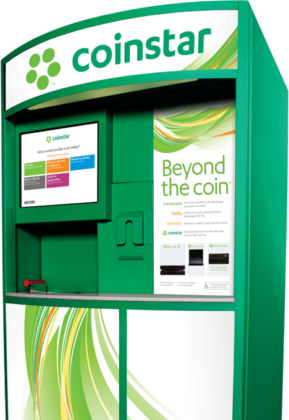 A U.S. Bitcoin ATM company has teamed up with international coin counter Coinstar to offer Bitcoin purchasing facilities in “thousands” of new locations. Washington-based Coinme, which has operated Bitcoin ATMs since 2014, confirmed the deal via a press release January 17. “We’re excited to team up with Coinstar to give consumers a convenient and easy way to buy Bitcoin during the course of their daily routines,” Neil Bergquist, Coinme’s cofounder and CEO commented. Bitcoin is now accessible at your local grocery store via Coinstar kiosks, and this offering will make it even easier for consumers to participate in this dynamic new economy. Implementations are already live, with users uploading evidence of using the Bitcoin feature on social media. If Bitcoin becomes available at all 20,000 locations, the partnership would increase the US’ total Bitcoin ATM numbers almost five times over. According to data from monitoring resource CoinATMRadar, the US currently has 2488 machines in operation, constituting just under 60 percent of the global total. Worldwide, Bitcoin ATMs as an industry should become worth almost $145 million within five years, a study released in September 2018 claimed. This month, mirroring the problems faced by businesses throughout the cryptosphere, Bitcoin ATM manufacturer Lamassu moved to Switzerland, citing the unfavorable regulatory climate in other jurisdictions. As Bitcoinist reported, Switzerland has deliberately forged a supportive landscape for the sector, with banks similarly keen to expand their integration with cryptocurrency. The country currently has 46 Bitcoin ATMs alongside ticket machines at every train station that also sell bitcoin.